Olympic cycling champion Victoria Pendleton, singer Michael Ball and actress Samantha Bond are among the celebrities competing in The Great Sport Relief Bake Off this month. Judged by cookery writer Mary Berry and master baker Paul Hollywood, 16 celebrities will compete across four shows on BBC Two from today, Monday, 13th until Thursday16th January. The other celebrity bakers include broadcasters Emma Freud and Johnny Vaughan, Dancing On Ice judge Jason Gardiner, and actresses Jane Horrocks and Doon Mackichan. Also taking part are Olympic champion long-jumper Greg Rutherford and former England cricket captain Michael Vaughan. Impressionist Alistair McGowan, former Blue Peter presenter Helen Skelton, Harry Potter actress Bonnie Wright, Desert Island Discs host Kirsty Young and singers Rochelle Humes, from The Saturdays; and Jamelia complete the line-up. 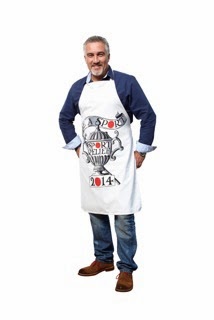 Quintessential British pottery maker Emma Bridgewater has created two limited edition aprons for Sport Relief 2014. One of the designs will be presented each night to the winner of ‘The Great Sport Relief Bake Off’ and both designs are available to buy exclusively from Sport Relief official partners, brands-for-less homeware retailer HomeSense, TK Maxx stores,TKmaxx.com and sportrelief.com throughout the UK from January 13th 2014. There’s been a resurgence in home baking across the nation and the apron is a great opportunity to be part of the baking movement whilst supporting a great cause. Emma Bridgewater says: “After the success of our Emma Bridgewater range for Red Nose Day we were delighted to be asked to create something for Sport Relief 2014. 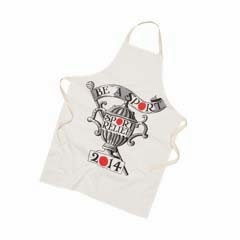 Our two new aprons feature our signature black and white hand drawn design, encouraging everyone to be a sport and get involved. Whether it’s sport or baking it’s the taking part that counts – but this way everyone gets to take home a trophy. Since 2002, Sport Relief has raised over £195million. As one of the UK’s biggest fundraising events, Sport Relief brings the entire nation together to get active, raise cash and change lives. The money raised from the apron will be used to help transform the lives of some of the poorest and most disadvantaged people –both on your doorstep in the UK and around the world. 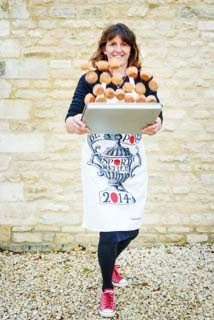 So join in the fun and games and be sure to grab a limited edition Emma Bridgewater apron before they’re all scone! I was not paid for this post and am promoting it to support Sport Relief.